I have a personal vinyl collection, some of which I am selling. Former DJ. 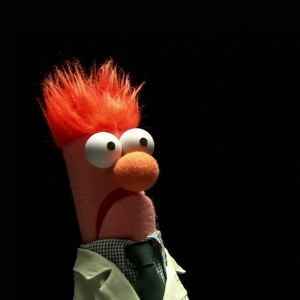 Sometimes go by the name of DJ Beaker, hence the profile pic. Both Dedicate and Future 6 are cracking, atmospheric, techno tunes. The Chris Mate reconstruction on here rocks. This could merit a repress with the reconstruction on the A side. TOP ACID! Way before its time. No cheese at all and a proper build up. Played this recently and got asked where it was from. Got told off when I mentioned it was from '96. Always the sign of a good tune. The sourmash NRG mix is simply one of the best pieces of electronic music ever. That is all. Three o'three be some fine acid, 2b sure. Geezer's remix is, quite simply, one of the best pieces of Acid Techno I have ever heard. Oops - thanks for pointing that out! I will adjust accordingly - you rightly realise that for me, Sister was the band's best work. How about you?